Salta: is located in the northwest of the country. To the north, it borders Bolivia and Paraguay and to the west lies Chile. 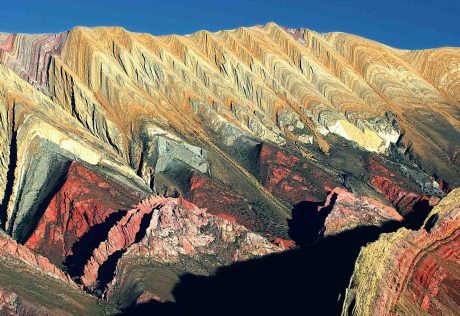 The Salta province is characterized by vastly diverse terrain such as the fertile valley of the capital, the polychrome canyons of Cafayate, and the desolate plateaus of La Puna. One of the adventure capitals of world, Salta is hugely popular with outdoor enthusiasts: hikers, cyclists, fishermen and rafters. Thanks to its high altitude, steady, dry and sunny climate, Salta boasts the finest wines in the world. The region’s capital, Salta City is nicknamed Salta La Linda for its extraordinary colonial beauty and delicious local specialities. Patagonia: A trip to Patagonia in southern Argentina means that you’ll see everything the country has to offer in one concentrated space. Enter Patagonia: a world of dazzling calving glaciers, rushing waterfalls, and towering Andean peaks thrusting skywards from the clearest of blue-green waters; nighttime skies milky with bright stars and remote islands shrouded with sea mists. We walk amidst wildlife—condors, guanacos, and the majestic puma— and learn about their behavior up-close! Peninsula Valdez: Peninsula Valdes is especially noted for its vibrant coastline, which features a stunning array of tall cliffs, rocky reefs and hidden inlets surrounded by crashing surf. Considered one of the most valuable wildlife habitats in the world, it is home to some of the most exotic marine creatures, along with penguins, sea lions, seals, and whales. Because of its geographical proximity to the beautiful, pristine southern lands and the fact that it shares some of its weather, the region is known as Atlantic Patagonia and was named a UNESCO World Heritage Site in 1999. Ibera: The Iberá Natural Reserve is one of the largest freshwater reservoirs on the South American continent. The largest protected area in Argentina, Ibera has 1.3 million hectares of pristine wilderness. 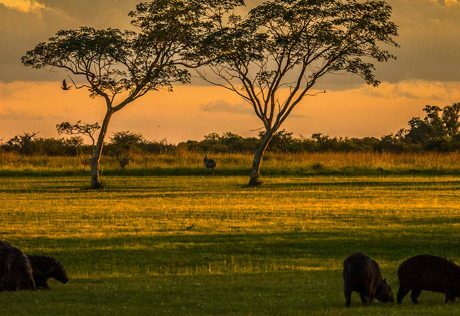 The Ibera Wetlands has a spectacular offering of streams, marshes, lagoons and swamps that cover approximately 14 % of the Corrientes Province. The wetlands are home to a staggering 4 000 plant and animal species, which make up 30 % of Argentina’s biodiversity. The indigenous communities of the wetlands inhabited the area as early as in the 9th century. They called the place I–Berá “shining waters.” Here, visitors are introduced to a range of wildlife such as capybaras, various deer species, giant otters and raucous howler monkeys; to name but a few! Argentines are passionately devoted to the sport of fùtbol and, if you’re a fan, chanting and stomping alongside other stadium fanatics should definitely be in your plans. Cultural activities abound here. Tango is possibly Argentina’s greatest contribution to the outside world. The steamy dance has been described as ‘making love in the vertical position.’ Add a distinctive Argentine take on literature, cinema, music and arts, and you have a rich, edgy culture – part Latin American and part European – that you can’t help but fall in love with. Satisfying that carnal craving for flame-charred steak isn’t hard to do in the land that has perfected the art of grilling. Parrillas (grill houses) are ubiquitous, offering up any cut you can imagine, alongside sausages and grilled vegetables. Thin, bubbly pizzas and homemade pastas also play central roles, thanks to Argentina’s proud Italian heritage. Argentine beef is famous around the world and Asado (an Argentine barbecue) is very popular in the country which has the highest consumption of red meat in the world. 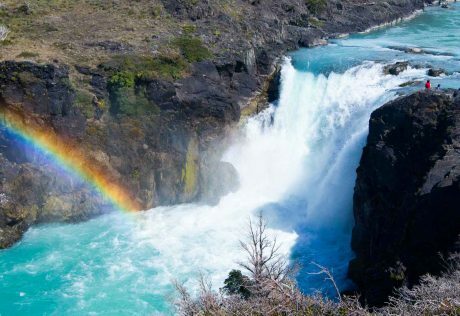 With over 30 national parks in the country, Argentina is home to a vast – and quite diverse – natural wonderland. The country that boasts the Andes’ highest snowbound peaks is also home to rich wetlands, rust-hued desert, deep-blue lakes, lichen-clad Valdivian forests and Patagonia’s arid steppes. Wildlife comes in spectacular variety, from penguins and flamingos to capybaras, giant anteaters, whales, guanaco herds and more. In this vast country, stunning sights abound and big adventure awaits.